Africa Mentoring Institute: Welcome to the Africa Mentoring Institute! Welcome to the Africa Mentoring Institute! 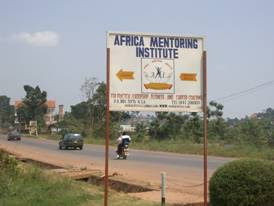 Welcome to the website of the Africa Mentoring Institute, Entebbe Road, Seguku, Uganda.